The Jeep Renegade and lately the Fiat 500X are considered the most important launches for FCA Europe over the last 5 years. The company wants to sell around 170.000 units of the Jeep and 130.000 units for the Fiat (output volume targets) during their best years. In the case of the Renegade the target includes sales in EMEA and NAFTA regions, as the small SUV will be built in Brazil for LATAM region, and China for APAC. In other words, both models are supposed to replace the Fiat Punto production volumes, which is also built at Melfi plant, while the old Fiat agonizes waiting for its successor, the Fiat 500 5-doors to be launched in 2016. That’s why the new Jeep and Fiat are so important. FCA wants to be part of the B-SUV sales boom by offering two different concepts of city-SUVs. Last month was the debut for the Jeep as it is already available in most of the European markets (UK excluded). How did it do? The new-born had mixed results. Based on some national statistics, the Renegade didn’t perform well in its ‘home market’ because it wasn’t part of the 50 best-selling models. There were 628 units sold, ranking 8th in the Italian B-SUV segment, behind the usual leaders (Captur, 2008, Mokka and Duster), the Countryman, at the same level of the Juke and the Ecosport, and ahead of the C4 Cactus and the Skoda Yeti. 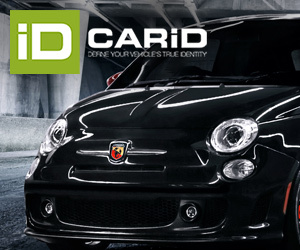 That’s definitely not a good start for a car that is built in Italy, is sold throughout the Fiat dealers network and that has got the attention from several mass media. Of course one month is a very short period of time to make a conclusion as the results will certainly improve in the coming months (in November the Renegade was the 25th best-selling model, surpassing the Juke and Ecosport and becoming the 6th best-selling B-SUV) . Based on its attributes, technical features and positioning, the Renegade should enter in the top 6 FCA best-selling models in Italy, behind the Panda, Punto, Ypsilon and 500L, and close to the 500’s figures. Germany was the second largest market with 378 units, beating the Jeep Grand Cherokee and becoming the brand’s best-selling product. It was again the 8th best-selling B-SUV only ahead of the Ford Ecosport and the Citroen. 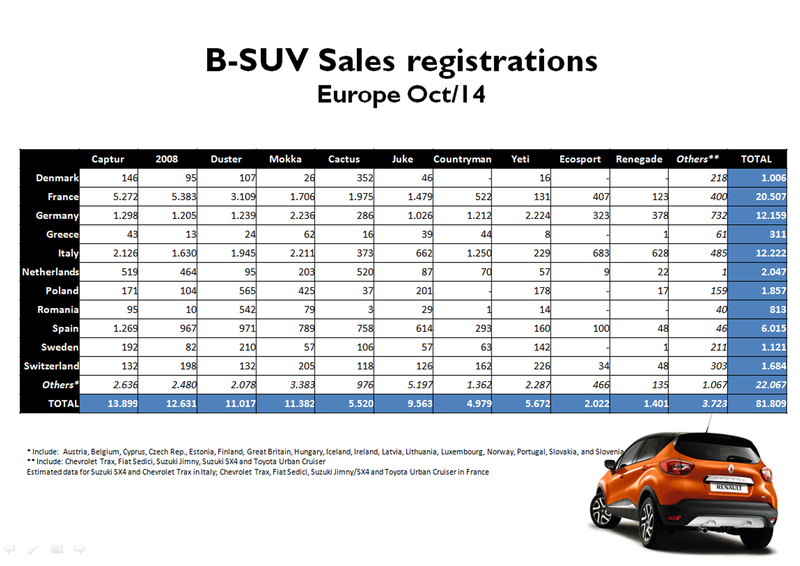 Even if those are low figures, the result isn’t bad at all considering that German market hasn’t entered into the B-SUV boom yet (France and Italy are bigger markets) and there isn’t a clear leader as the Mokka and Yeti (the 2 best-selling ones) are only few units ahead of the French and the Countryman. In other words, there’s still few demand for this kind of cars and it is quite competitive. 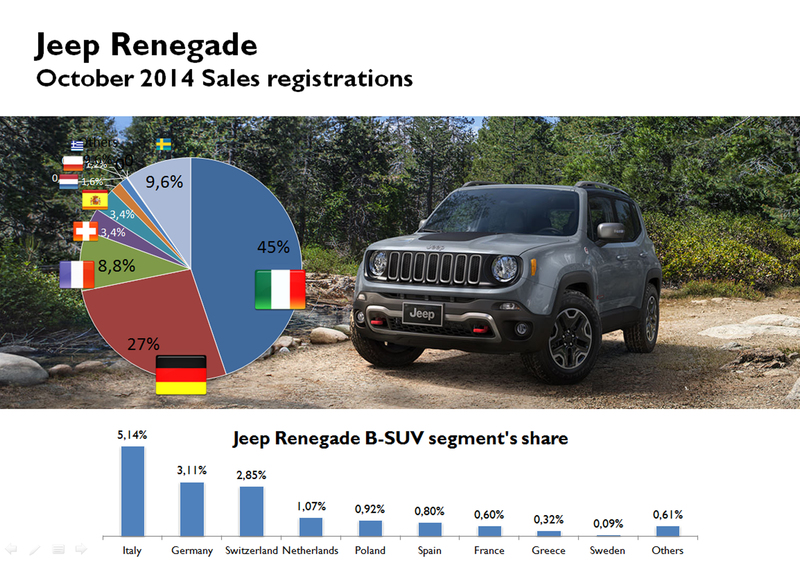 However Germany isn’t the best example to measure the possible success of the Renegade. France is Europe’s largest market for small SUVs, and last month it counted for 35% of the 11 markets in scope (UK, Belgium and Austria excluded). 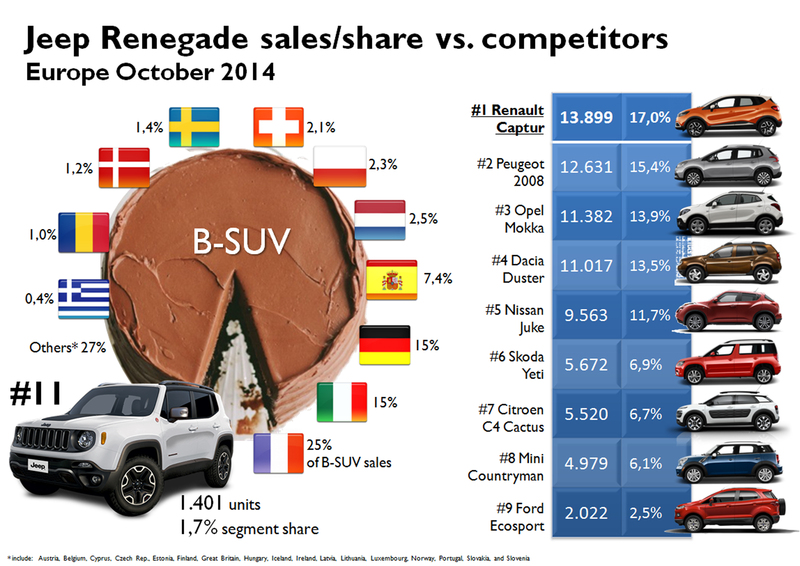 French products (Dacia included) counted for 78% of the segment sales, while the Renegade’s share was only of 0,61% of the 10 models-in-scope sales. It was the Renegade’s third largest market, and as it happened in Italy, the results could have been better, despite the fact that France isn’t a SUV fan (they pay a lot of taxes). Then come Switzerland and Spain, both registering 48 units. In Switzerland the small Jeep got 3,48% of the B-SUV segment sales (the second best after Italian share), but in Spain it only got 0,8% segment share. The Jeep Renegade had a slow start. But this must be carefully analyzed taking into account its price positioning, Jeep’s European awareness, and the exterior design, which divides the general opinion. Despite it was its first full month in Italian market it wasn’t the case for the remaining ones, where the small Jeep arrived later. The results are expected to improve in the coming months and for sure the Renegade will become one of the FCA rock stars not only in Italy but in other markets. Time will tell us. Nice presentation as always, even if I believe it’s way too early to understand how the car is selling. I.M.O. we will have to wait the first 2/3 months of 2015 to preliminarly assess its success. I was just looking at EU sale of 500L, which today i believe it can be considered a good success, and noticed it took a while before selling on a consistent basis (and 2014, more than 2 years after its initial launch, is going to be its best year by far!). That’s right. Is soon to make conclusions. We’ll see how sales go next year when the 500X will be also available. The 500L is a good example but I’m afraid it has already reached its top in terms of sales during 2014. Keep reading! Is not the Jeep Renegade more targeted to LatAm, East Asian, Middle Eastern/N African, US of A and (hopefully, Indian! ;-)) taste and brand recognition than Western and Southern European ones? Isn’t the real test the 500X and not the very life-style-specific nature of the Jeep, as far as these markets go?